Your Trusted Plumber Since 2005! Since 2005, Watersong Plumbing LLC has been the go-to source for quality plumbing solutions in Cascade and throughout the surrounding areas. Unlike larger plumbing operations, I offer personalized, focused attention to all of my customers, backed by honest and affordable pricing. Contact me today for a free estimate on service or for emergency plumbing help! Watersong Plumbing LLC is proud to be a highly-trusted, extremely-reputable plumber in Cascade, ID. With over 20 years of experience in the plumbing business, your plumbing problems are in the best hands possible—I’ve seen it all! I’m proud to have helped numerous home and business owners resolve their plumbing problems quickly and thoroughly. Whether it’s a water heater issue or a quick faucet repair, I don’t believe in cutting corners. That’s why I only use the highest quality products on all jobs, to ensure my customers get the most out of their plumbing products. 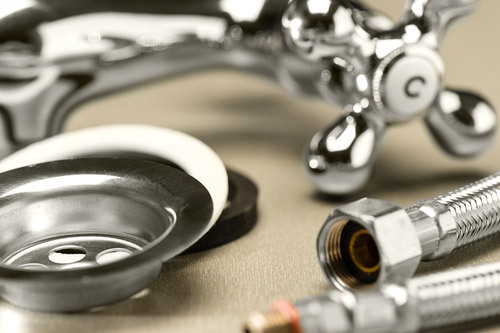 In addition to providing comprehensive repairs for toilets, faucets, drains, pipes and more, I also sell water heaters and necessary plumbing components for all of your home or business’ major plumbing installations. Working on a new construction or remodeling project? Give me a call for expert service for commercial and residential buildings of all shapes and sizes! I’m here to help install and maintain your plumbing for comfort, convenience and longevity. To see why my customers call me over all other plumbers in Cascade, ID, give me a call for yourself! I promise you won’t ever need another plumber ever again. I have 20 years of experience in all things plumbing and water heater-related. I strive to always provide honest and reasonable pricing on all products and services. Call me for reliable and rapid service, 24 hours a day, 7 days a week, 365 days a year. I accept all major credit cards, to make payment a breeze. My business is independently-owned and -operated out of Cascade, ID. Leaky faucet driving you crazy? Have a water heater that isn’t giving you hot water? Call Watersong Plumbing LLC today for reliable plumbing solutions that last.